Sets the destination of an AI to the position of a specified object. 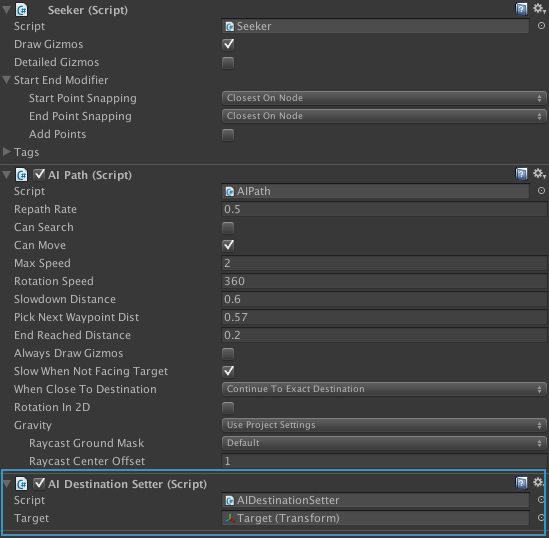 This component should be attached to a GameObject together with a movement script such as AIPath, RichAI or AILerp. This component will then make the AI move towards the target set on this component. The object that the AI should move to. Updates the AI's destination every frame.